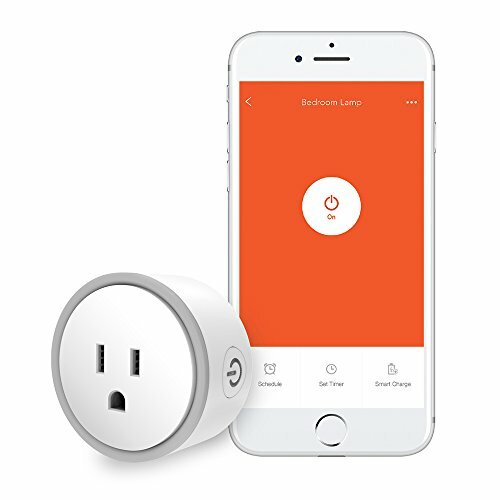 The Elf Smart Plug brings Smart Home to any home, easily, without control hubs, and with no monthly fees. Elf controls plugged-in lights, devices and appliances from anywhere, through your home's Wi-Fi via its free app. Set-up couldn't be easier, completed in three easy steps: Plug in; Connect to Wi-Fi; Download the free app. No complicated hubs. No subscription services or monthly fees. And Elf's compact, sleek design ensures you avoid the inconvenience of adjacent sockets being blocked - the other socket is always free for other household plugs. Elf can be set to automatically control lights, appliances or devices with convenient scheduling, so you never have to come home to a dark house and you can make it appear someone is home even when you are not. Experience ultra-convenient voice control when connecting with Amazon Alexa or Google Home.